There’s so much to celebrate from this past weekend! Given that Preston and I were in Illinois to celebrate my parents’ 30th wedding anniversary, I’m overjoyed that I was able to stay on track with my training despite being out of town. I’m also ecstatic by what I accomplished and all that we celebrated over the weekend. First, I ran my first 10K on Saturday (6.64 miles to be exact). Preston and I completed our weekly long distance run Saturday morning on the Constitution Trail, the trail I grew up going for bike rides on in Bloomington/Normal. In order to meet my 16 mile goal for the week, we had to run at least five miles on Saturday. As we neared the 2.5 mile mark and I was ready to turn around, Preston encouraged me to keep going. We wound up using the elementary school that I attended 6th grade at as our turn around point, and I was flooded with emotion as I crushed the third mile of our run on the same part of the trail that I completed my mile run on for the Physical Fitness Test back in 6th grade. I still can’t believe that I completed a 6.62 mile run on Saturday! Second, I completed Saturday’s run under completely different weather and climate conditions than I’ve been accustomed to since starting my training back in March. We spent the first couple miles running into the prairie wind, which not only slowed our pace down but also tested my endurance and breathing. You never know what type of conditions that you’ll face on race day, so its always good to vary the conditions you face while training. Third, I not only completed my weekly goal of 16 miles, but I went beyond it and reached 17.7 miles! I’m well on my way to logging 200 training miles by July 6th. After last night’s run, my current total is 155.8 miles. 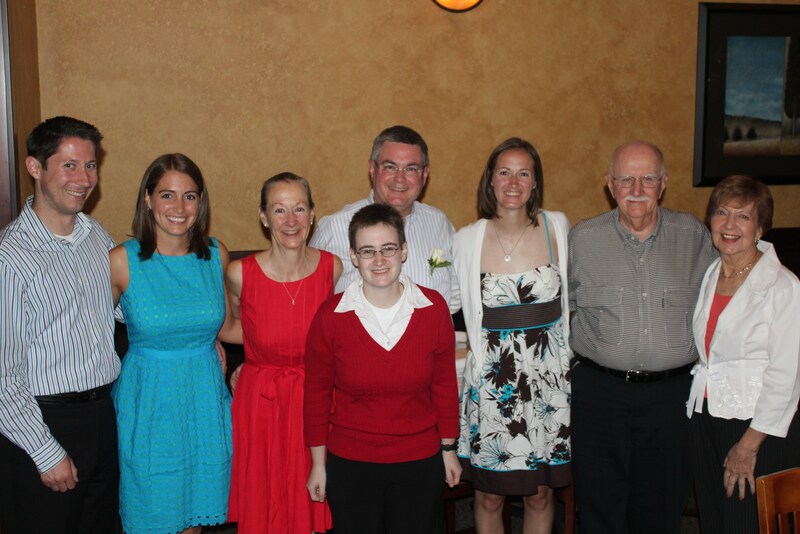 Last, we celebrated my parents’ 30th wedding anniversary with a surprise party Saturday night in their honor. To say they were surprised is an understatement. They knew that Preston and I were flying in to celebrate with them and my sisters, but they had no idea that my grandfather and some of their closest friends would be joining in for the festivities as well. To top off such an exciting weekend, yesterday was the last day of the 2012-2013 school year. Since I have the rest of the week off before starting AP training on Monday, I’m making it this week’s goal to complete my first two-a-day workout. No matter what it takes, I am promising myself that I will meet this goal in addition to logging another 16 miles this week. 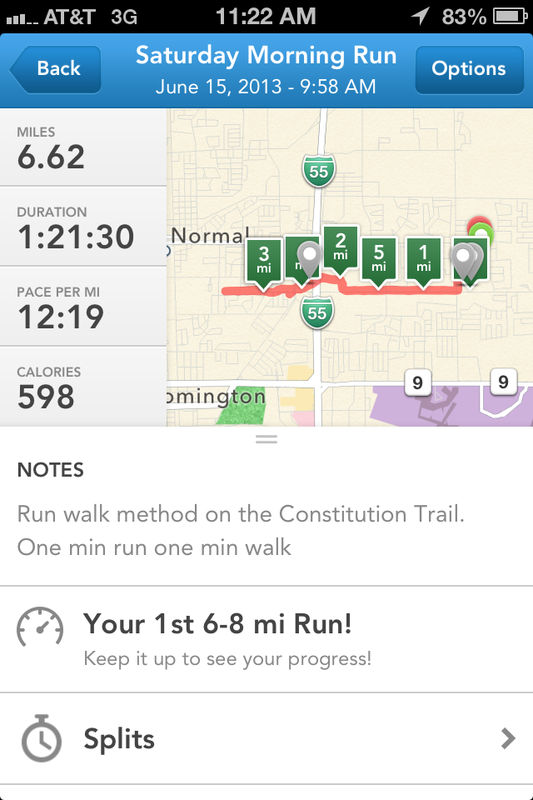 This entry was posted in Milestones, Training and tagged 10K, Constitution Trail, first 10K, goal, goal setting, long distance running, milestone, running, training, two-a-day workouts, vacation. Bookmark the permalink.